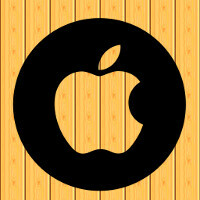 The USPTO, as is its wont, revealed a trio of patent applications filed by Apple. All three were dated December 14, 2012, and all three dealt with features that could appear on the Apple iWatch. As we told you earlier today, the wearable is in trial production, and is expected to launch this coming October. One filing revolves around sensors that are on an Apple iPhone and on a wrist-worn device. The sensors can tell that someone's pulse is rising, even if he is not moving. Using other sensors that detect that this user is indoors, a pattern recognition system would concludes that the person is on a treadmill. From there, the session on the treadmill can be converted into data such as miles run, and the hypothetical distance covered. A second patent tracks the pattern of a person who usually moves minimally after 11pm. If this person has a "Do Not Disturb" setting activated and an alarm set, the system uses probability to decide if the user is sleeping and whether the alarm should go off. In the same vein, the application uses an example of someone wearing a biometric bracelet which revealed that he stayed up late Friday night. The system checks the calendar on his iPhone and sees a reminder to call a friend at 10am Saturday, and an alarm set for 9am Saurday morning. Here, the iPhone bypasses the alert and wakes the user up at 9:45 so that he can get more sleep. If two people, each wearing a biometric bracelet, are in close proximity to the same iPhone, the alarm could be changed into a vibration so that the alarm won't awaken the second person. The third application deals with missed notifications. If a user has the "Do Not Disturb" setting on, takes a nap, and misses some notifications, the system can determine when the user is awake. Once he is up from his nap, the system will replay notifications and disable the "Do Not Disturb" setting. If the user makes a small movement, like checking his iPhone for the time, the system will assume that the person is sill sleeping, and all of the original settings will stand. Will these patent applications end up being used in the Apple iWatch? The Health app in iOS 8 will analyze and store health related data received from third party fitness bands, so surely it will sync with the iWatch when it is released. So the first patent is (essentially) for a heartbeat sensor. This has been done before... Why are Apple trying to re-create the wheel every time just with different wording? Its all getting a bit old. Not surprise with the naming of apple of their so called innovations . They'll just change the name and "viola" it's their invention. I would still go for conventional watches as it is more valuable overtime just like Rolex . Not surprise with the naming of samsung of their so called innovations . They'll just add galaxy to the name and "viola" it's their invention. I would still go for conventional watches as it is more valuable overtime just like Rolex . Having a hard time thinking what to post . Traditional copy edit paste? You don't a thing about it so how cab you validate your comment? And you know a thing about it? I already smell a lawsuit. They are not re-creating the heartbeat sensor, they are trying to capture if your pulse rate (or heartbeat) is rising even if you are still (I haven't seen this feature on any device as of now!). Which means that something is wrong with your heart and then can notify a nearby hospital using the newly released health kit API. Don't be that biased. Who knows, it might actually save your life one day. They need to fire someone at the USPTO for giving apple B.S. patemnts that already exist. Come on Apple. Bring that iwatch to papa. One watch to rule them all! iWatch! lol that one has been forgotten already. It'll be just a recycle iPod nano. Now they'll call it iwatch.